More than 40 million people in over 100 cities across the globe have seen the trailblazing BODY WORLDS exhibition series. Soon the internationally-acclaimed BODY WORLDS Vital exhibition travels to Cape Town, opening at the V&A Waterfront on Women’s Day, 9 August, and running until 23 October. Proudly presented by Discovery, this unique exhibition celebrates the wonder, resilience and fragility of the human body. 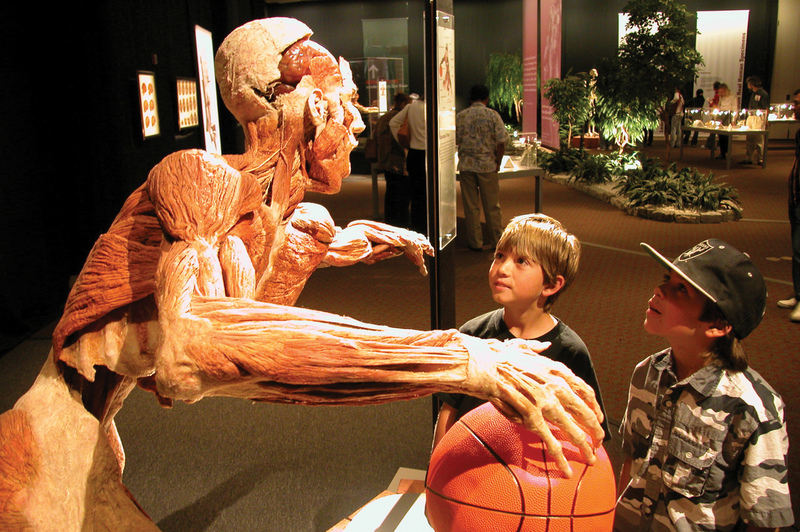 Book now at bodyworldsvital.co.za to get a detailed look at the human body’s keenly intelligent design, explore how it functions, and see what happens when disease strikes. BODY WORLDS returns to Cape Town but with a new, more advanced presentation, a new theme, and much more to learn and experience. Most of the Vital exhibits – including ALL of the thirteen full body plastinates – are NEW. The theme of this exhibition is different, this time focusing on health, vitality, the body’s athletic potential, and the effects of certain major chronic diseases. By contrast, the last BODY WORLDS exhibition centered on the ageing process. “As an organisation that continually looks for new ways to help people live healthier lives, we believe Dr Gunther von Hagens’ groundbreaking preservation process offers people a real-life opportunity to experience the wonder of the human body,” says Discovery Health CEO, Dr Jonathan Broomberg. “A specific focus for Discovery is to give people relevant tools and support to take care of their health and wellness at every stage of their lives, and through preventive medicine and innovative lifestyle interventions, our aim is to help prevent the onset and manage health conditions affected by lifestyle choices,” adds Broomberg. Visitors to the exhibition are invited to explore human anatomy, physiology and health through around 180 authentic whole-body plastinates, individual organs and transparent body slices. Healthy and diseased organs are shown alongside each other, while displays of the nervous and cardiovascular systems show the intricacies of the highly complex human body. Specimens are permanently preserved through the process of Plastination, invented by famed anatomist, Dr. Gunther von Hagens. Currently on show at the Sci-Bono Discovery Centre in Johannesburg, the exhibition has enjoyed rave reviews from visitors of all ages, school groups and members of the media. “I came out of the Body Worlds Vital exhibition at the Sci-Bono Discovery Centre in Newtown filled with awe,” says Jenny de Klerk, 48 Hours, Saturday Star. “Body Worlds (Vital) really brings everyman face to jarring face with his own mortality: it shows us that, at cellular and molecular level, we are all a complex assemblage of bones, muscles, blood vessels, nerves and other tissue: a humbling thought,” says the Financial Mail’s Christina Kennedy. Brought to South Africa by Cape Town-based Great World Exhibitions, the bodies on display have been willed by donors for Plastination to increase public awareness of the human body. To date, more than 15,000 donors around the world have bequeathed their bodies to Dr. von Hagens’ Institute for Plastination after death. There is no minimum age limit and parents are advised to use their discretion when deciding whether the exhibition is right for children in their care. School group discounts are also available at www.bodyworldsvital.co.za.